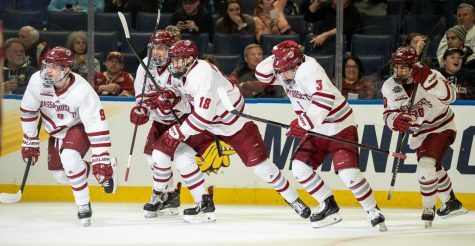 The climb up the Hockey East Association standings for the Massachusetts hockey team has been a slow one, but it can get a huge boost this weekend as UMass prepares for a big two-game weekend at Maine on Friday and at home against UMass Lowell on Sunday. 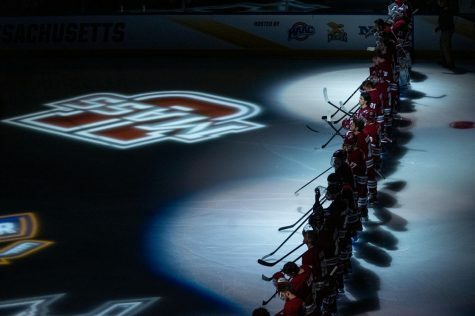 After failing to record points in their first three conference games this season, the Minutemen (3-4, 2-4 HEA) have won two of their last three games in conference play and moved from the basement of the HEA into seventh place, one point behind Northeastern. That can all drastically change after this weekend, but coach John Micheletto is keeping his team focused on the task at hand. 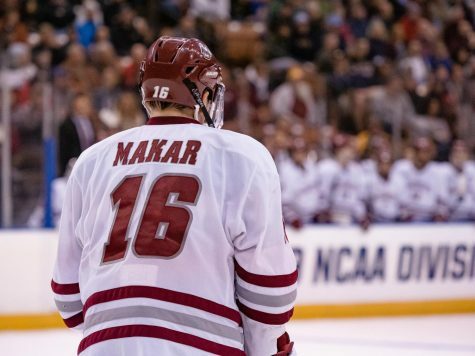 The big weekend test begins Friday night when UMass heads to Alfond Arena to take on an underachieving Blackbears (2-9, 1-5 HEA) team that had high hopes heading into this season. Maine currently sitting in last place within the conference, but is certainly a team that, despite its poor record, cannot be overlooked by the Minutemen just because of its current standing. 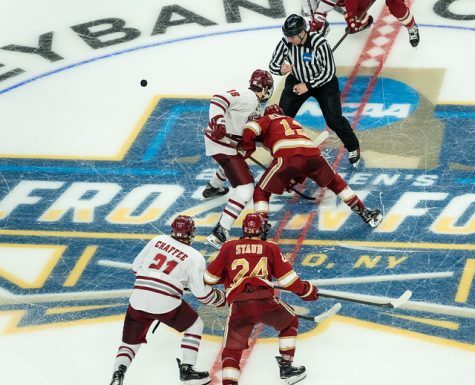 One key part of UMass’ game it needs to focus on is its defensive zone play. The Blackbears have been one of the worst offensive teams in the country, ranking second to last in team offense, averaging only 1.36 goals per game. Meanwhile, UMass ranks in the Top 25 nationally in team defense, only surrendering 2.57 goals per game. Much like Maine, the Riverhawks (2-4-1, 1-3-1 HEA) also entered the 2012-13 season with high expectations, only to fail to meet them so far this season. 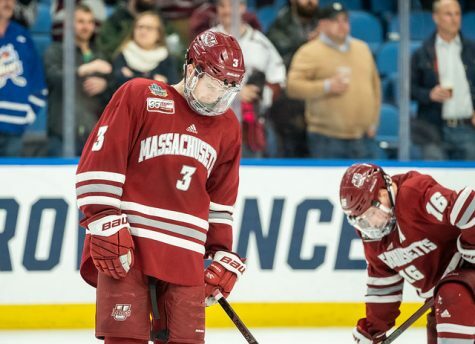 UMass Lowell sits right above the Blackbears within the conference and can be another team that the Minutemen need to take advantage of if they want to move up the HEA standings. This is not the first two-game weekend for UMass this season, but it is the first in which the team has to do some significant traveling. 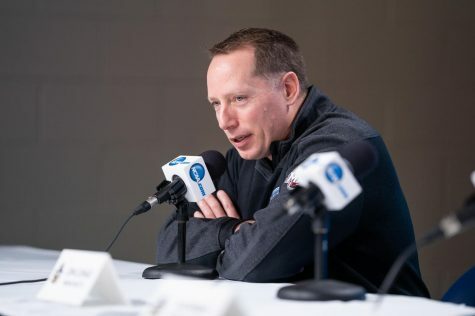 The trip to Maine is by far the longest trip within the Hockey East and can take nearly six hours each way, altering the teams eating, pregame preparation and sleeping habits, all of which play an important role in game. The travel does not just affect Friday night’s game, but also can play a factor in Sunday night’s game as well, so the team is taking the necessary steps to make sure everything goes as smoothly as possible for the travel. 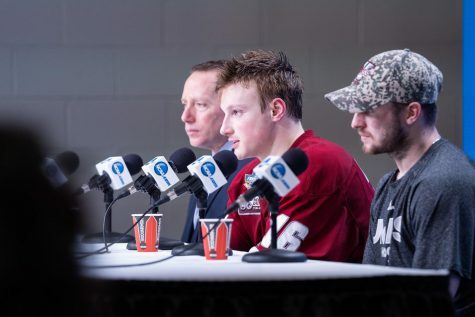 One negative for UMass heading into the weekend is the uncertainty of whether junior forward Eric Filiou will be cleared to play this weekend or not. 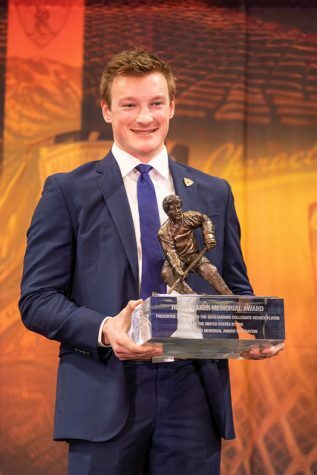 He suffered a “generic upper-body injury” Friday night against Providence when he was checked awkwardly into the boards after the whistle. He was cleared to begin skating this week, but Micheletto is unsure of his status for the weekend’s games and did not disclose any information on what exact body part it was that Filiou injured in the game. Puck drop for Friday night’s game is at 7 p.m. and then the Minutemen return home Sunday night for their game against the Riverhawks. 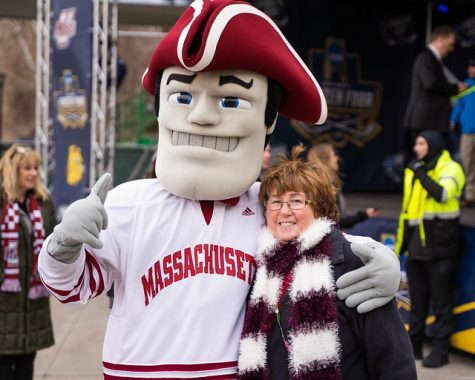 UMass is participating in a month-long fundraiser called “Movember,” where the entire team grows moustaches to help raise awareness for men’s health issues, including prostate and testicular cancer. Those interested in the fundraiser can visit mobro.co/umasshockey and donate money towards the cause and rate the team’s moustaches. Patrick Strohecker can be reached at [email protected] and followed on Twitter at @MDC_Strohecker.